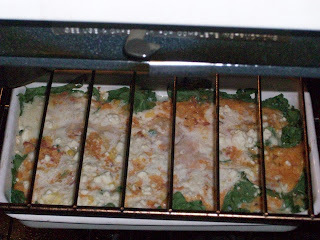 Tonight for dinner, I'm having a spinach and leftover impossible pie. 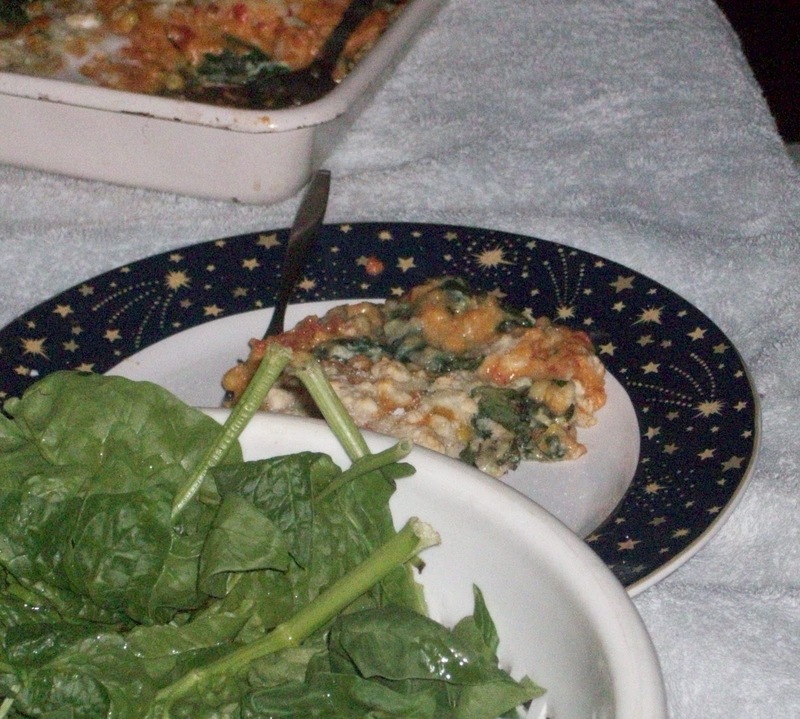 I placed some fresh spinach (about half a bag) in a baking dish, added leftover corn and that leftover cheese mixture (faux pimento cheese) from last night. Then I stirred together some Bisquick, milk and an egg. 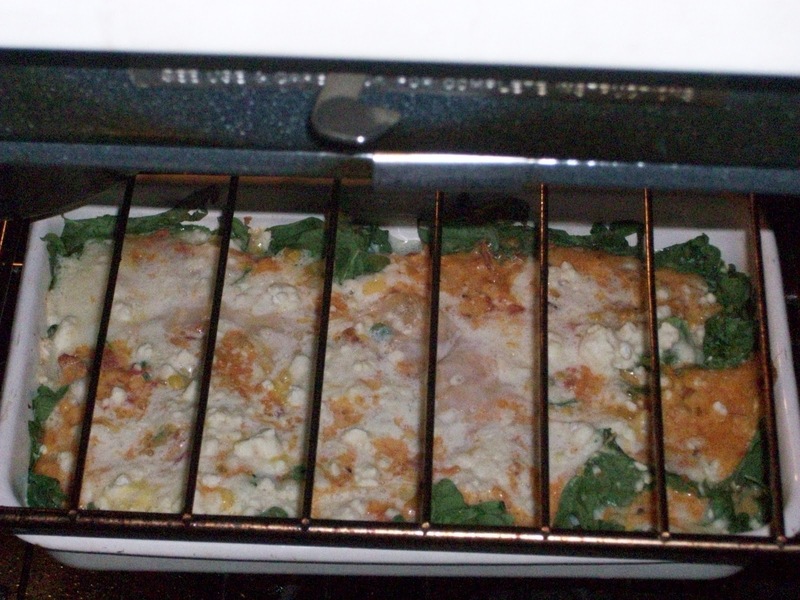 I poured the Bisquick mixture over the spinach, and placed the dish into the oven at 350 F.
Take it out of the oven after about 40 minutes and let it rest for a few. Cheesy and tasty. Plus it's spinach, healthy, right?